The question of life: What / Who /How / Where do I want to be? Most intelligent intellectual souls ask themselves these questions routinely. The wise don’t fret but look for an answer. Some find it. Some live in denial or justification. Most don’t know why it’s important. Most don’t care. Some are taught that it is selfish to question. Some look up at the heavens and some look down in prayer. Some though, know the answer early on in life. They don’t wait to check if its correct, of its practicality, religious use, family connections, culture or latest trend. They believe what they believe in and work towards it. They are ridiculed, laughed at and absolutely not eligible marriage material and the black sheep of the society. It’s not about what they choose, it’s because they choose to be the best at it. We as a society love average, we love mediocrity. We love the fact that all are equal. We teach the concept of acceptance to the level of self-depreciation. 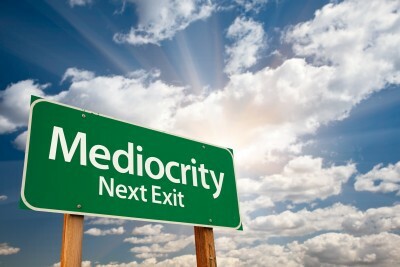 So why is mediocrity such a crime? Simply because it’s not natural. It’s not normal. Read any scripture and one thing they all say is – all are special. Everyone is capable of moving mountains and everyone is a genius in his or her own right. It’s okay to say accept and move on. What’s not okay is to say, this is what’s best. Don’t bother much, this is what one should live with. You are perfect because you fit in. Fit in what? In an average, non performing, self-fearing and blind society? Why should anyone fit in here? As a child I read about Hariappa and Mohenjo daro civilizations. How advanced they were. I read about the Pushpak Viman and I read about Chanakya and Huan Tsang. None of these were average people, were they? They didn’t stop at mediocrity. They didn’t work with practicality, rationality. In fact if anything, they were some of the most irrational and impractical people on earth for their time. Take any example: Einstein, Nikola Tesla, Leonardo, Aryabhatt, Egyptian Architects, Roman Scholars, British soldiers, French revolutionaries, Israrel intelligence, Russian Internet geniuses, Indian Freedom Fighters – none of them, absolutely none were average. They did not accept mediocrity. They did not accept any limits. Limitlessness and out of the box belief systems defined their lives. Be it Technology, Science, Spirituality, Politics, Education, Society – it’s only the best, the beyond words people who have made a difference. Most aren’t even known. Were they gifted? Of course they were! Not with intelligence but with curiosity and courage and belief in themselves. They fought, they defied, they died and so many were tortured, but they did shine. They brought about innovations. People who invented phone and motor, people who went into space and people who stepped on the moon and people who showed us the path of peace and belonging and love were not average. They gave us what they gave us by being extra ordinary, by being exceptional, by breaking barriers and taking the unexplored rabbit paths. If these examples pump your adrenaline and if these are the stories you read to your children, what possesses your mind to commit the crime of telling your child to walk a secured path, to follow rules, to not experiment and be lost in oblivion for life? What possesses you to waste a life that can evolve exponentially and create beautifully? Those of us who fear and pass it on, those of us who believe in the limits and not the self, those of us who die even when alive – we are squarely and solely responsible for digression of the society as a whole. Even if you have told someone to give up, to not dream the impossible, to follow a trend, you have indulged in the most hideous crime of human society. You are the creators and enhancers of the plague that cripples mankind today – that of mediocrity and a life spent in oblivion. It is said that the best of inventors only used 1/3rd of their brain power, the power of the mind till date remain unleashed in its best form. So imagine what we can achieve if only we overcome our fear of failure and isolation. To be or not to be is a ridiculous question, the only thing that matters is how to the The Best at what you want to be. Lokmanya Tilak commented on the Bhagvad Gita without referring to it once in captivity and created a master piece. Gandhi experimented with truth in the most creative ways and gave way to intellectual debates and new thoughts across the world to. Shivaji believed in independence first and set about to bring in Swarajya. Mahatma Phule and Savitribai Phule believed in empowering the masses be it scheduled caste people or women. Baba Amte works towards empowering the poor. The Dalai Lama talks of peace and love for all even when one is not able to live in his or her own nation. People, lakhs and lakhs fight injustice and crime all their life – these are not average people. There are not practical people. People who visit war-ridden places to shoot the truth, people who work with the masses in dirt and filth, people who run schools in the ugly face of terrorism and death everyday, people who give healthcare in the most trying circumstances. None of these people are average. Do not pass on this plague, do not make it your life’s mission to create yet another mediocre human being. Do not be one yourself, do no propagate it, fight it and if possible kill it. Be the one to lead, do not expect a following for yourself, but of your deeds. Believe in what’s written here, write a story like this yourself. And finally, be one of them as revered here and tell others to do the same. Radhika Bali is our Monday Method to Madness Blogger. 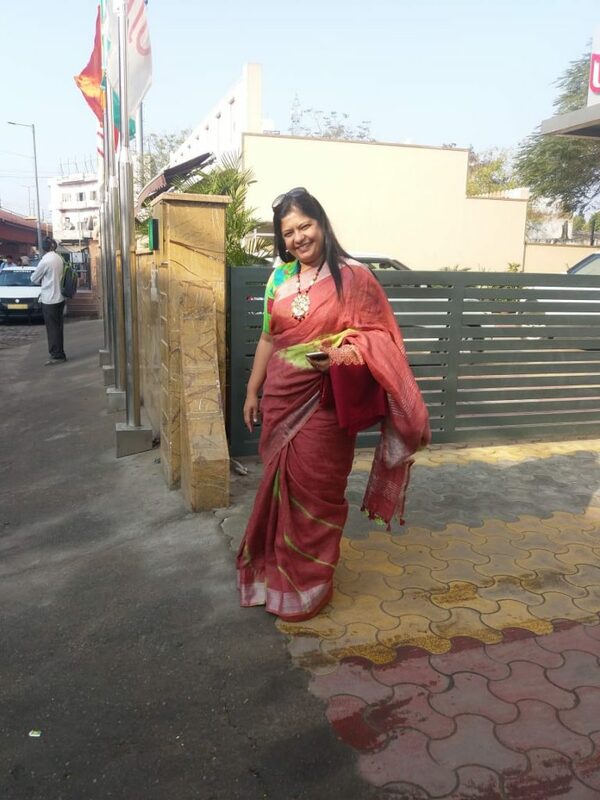 She is a lawyer who has worked for many years in Pune and Mumbai before starting her own law firm. A hyper achiever who likes to tell it like it is, Radhika is known for her love of books as well. You will never find her without one – and she has even participated in various lit fests! Her life revolves around her family, her practice and her love for the written word. Give her some love, would you?